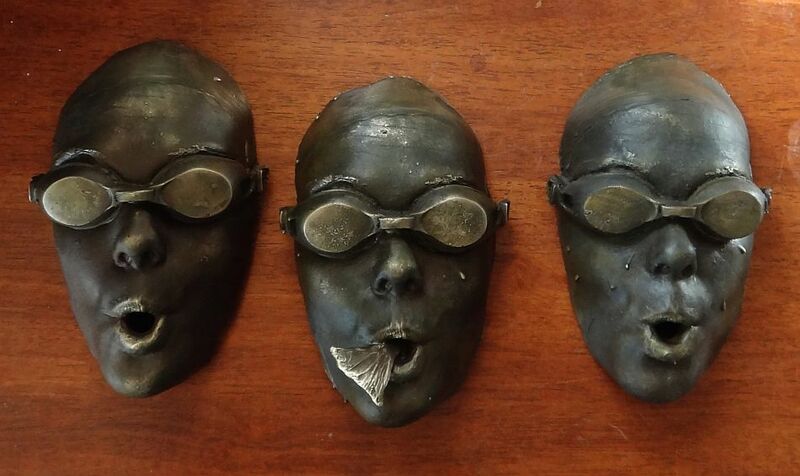 The 3 bronze swimmer masks have now had all their odd casting artefacts dremelled way, been sandblasted, and finally last night were given a patina, to simulate that ye olde bronze effect. After some internet research (and a lot of internet distraction), I settled on a variation of a traditional ‘salt and vinegar’ recipe, which came out pretty well. I heated the masks in my oven on the hottest bake setting. I then put a shallow dish with a solution of non-iodised salt (1 part) and vinegar (3 parts) in a glass dish on the tray below, and sprayed the masks with just vinegar using a misting bottle. I resprayed several times, lightly sanded off some highlights and put it back: all up the oven was probably on for two hours, and the masks sitting in a cooling oven for another half hour. The kitchen smelt like a very badly run fishshop. 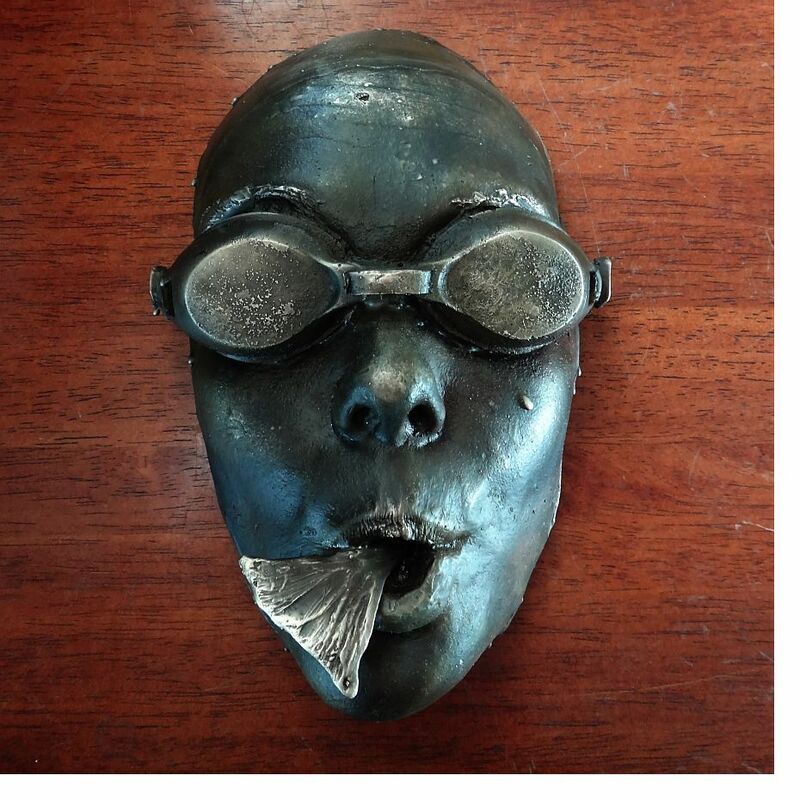 There was some more buffing and hard rubbing on the still warm masks, and then the finishing polish. I didn’t have any of the recommended ‘hard wax furniture polish’ to hand, so made the polish my granny probably used: melting a small amount of paraffin wax and mixing it with some boiled linseed oil: I kept it warm over a low flame, and kept the bronze warm too. It came up pretty much as I hoped. If I’d wanted a blacker look I might have tried a sulphur compound, or for a greeny/bluey look, I could have used an ammonia compound … Rodin used to send apprentices to pee on bronzes as they weathered outside!